We were careening down an old military tarmac as the vehicle skidded to a stop. In slow motion the guide in the passengers seat reached over and grabbed the steering wheel as the Land Cruiser slowed down. I looked to my left and saw a lone tire rolling by, overtaking the speed of the slowing vehicle. “Hmm. That’s weird.” I thought, and then it dawned on me that we were the only vehicle on this patch of Djibouti road in the middle of the desert, so therefore the tire had to be ours. We came to a stop and the guide and driver got out to assess the damage. The lone tire was still rolling nearly half a kilometer away at this point. Kiwi and I got out to have a look. Not surprisingly there was no tire on the drivers front spot, where clearly a tire should be. The vehicle was titled to that side like a chair with a busted leg. For some not helpful reason the warnings about road travel during some of my pre-trip research popped into my head. “Travel in a caravan in the event that one of the vehicles becomes disabled.” This seemed like solid advice in hindsight. 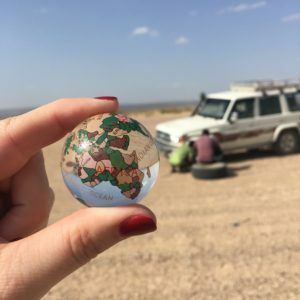 The driver ran off in the direction of the rolling tire and the guide took off to try and find the missing tire bolts, so Kiwi and I busied ourselves with looking at the colourful rocks lining the desert floor and taking selfies, and I thought about the many reasons I love travel. And the number one thing I love is the unpredictability of it. That you can make plans and do the research and then life just happens. And here we were in the Djibouti desert with a missing tire and there was nothing to do but wait to see if it could be fixed. 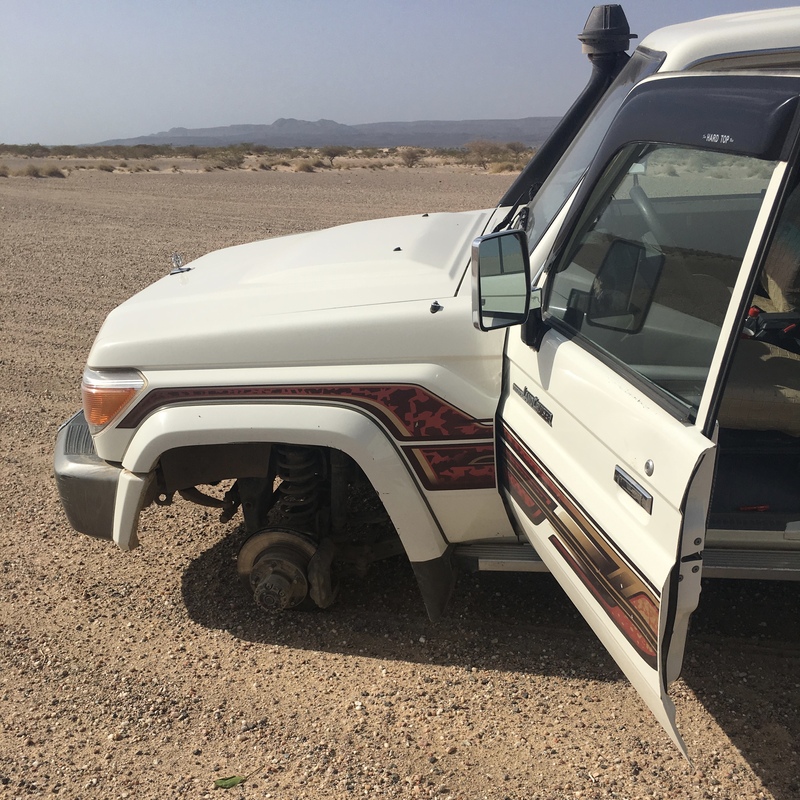 And thankfully a new tire was put in its place and a couple bolts were removed from the back tires as only three bolts could be found and we carried on with our day. I’m sure some of you are reading this and thinking where the eff is Djibouti? And how the heck did you decide to travel there? Well I’m a lover of off the beaten path type places and a big fan of traveling to places before they become super popular. Every year for Christmas I buy (or get as a gift) Lonely Planet’s “Best in Travel” for whatever the upcoming year is. Then New Years day I flip through it and the seeds of future travel gets planted. The beginning of the book is Lonely Planet’s recommendations of the Top 10 countries for the next year. Bangladesh was on the list several years back, and I loved Bangladesh and low and behold Djibouti was country #4 for 2018. After looking at a few pictures, a 5 min google session and discovering that there were direct flights there from Dubai I was sold. 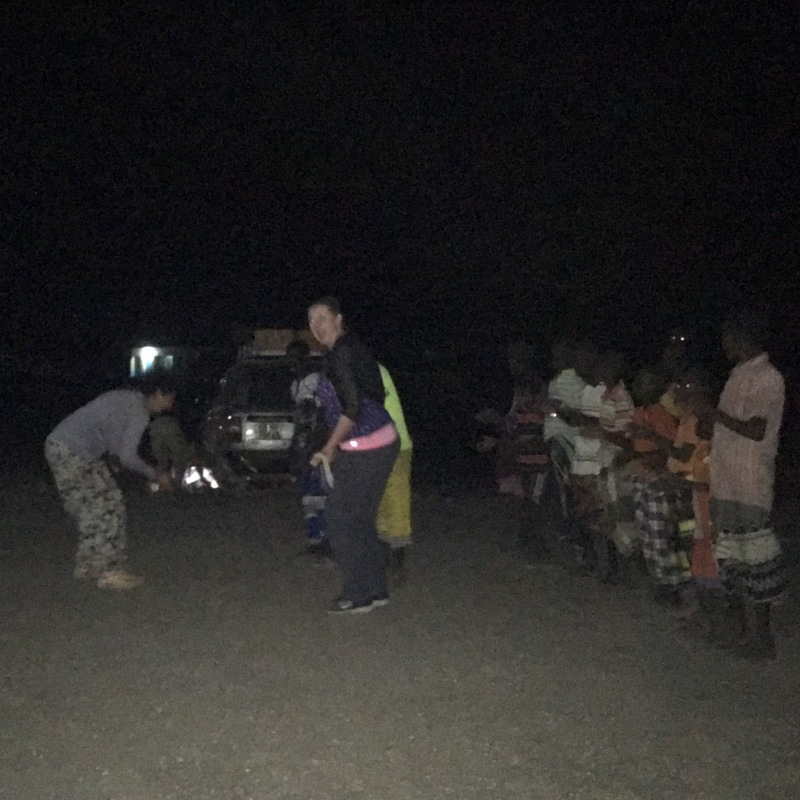 Also I coined the phrase “Shake our Booty in Djibouti” so obviously the trip was happening. 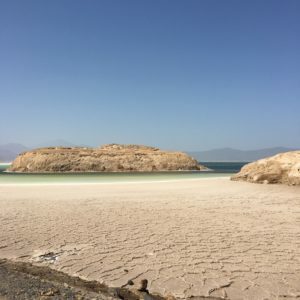 So where exactly is Djibouti? Well it’s in Africa to start with. Specifically the horn of Africa. It is bordered by Somalia, Ethiopia, Eritrea and the Red Sea. 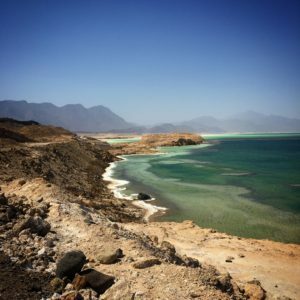 Outwards from the Red Sea lies Yemen. 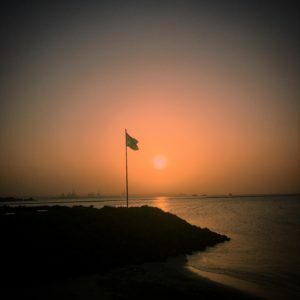 It was a French colony in the 19th century and today French and Arabic are the main languages, although like pretty much everywhere the world over English of some form is spoken. The country gained independence in the late 1970’s. Today most of the economy is based off the port which is the 7th largest in the world, and taxes from foreign military. For those of you in the Middle East as I already mentioned there are direct flights via FlyDubai from Dubai several times a week. I will give my full thoughts about them later in this post, but the other easy way to get to Djibouti would be from Addis Ababa, Qatar, Paris or Istanbul, as all have direct flights. A new train line also opened up making it easy to get to Djibouti from Ethiopia by land in under 8 hours. Kiwi and I flew from Dubai and landed in Djibouti in the afternoon. I had arranged for us to be picked up from the airport by the guide I had organized from Somaliland Travel named Akram. There are plenty of hotels in Djibouti, but not very many that are of western standards. We erred on the side of safety as we weren’t really sure what to expect. 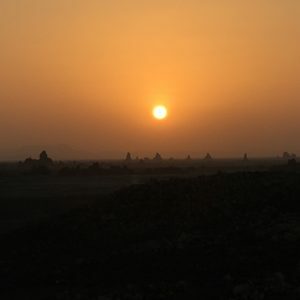 The only western hotels in Djibouti city are the Kempinski and the Sheraton. The Sheraton has horrific reviews so that made our decision easy. The Kempinski is very fancy, and very pricey, but if you are a single lady there are many, many military-ish men roaming the hotel so eye candy is a free added bonus. Operation “Shake our Booty in Djibouti” was off to a good start. The cheaper more basic hotel my guide recommended was the Atlantic Hotel which did have good reviews. 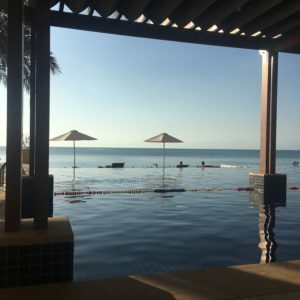 We spent one night at the Kempinski before we started our tour the following morning. 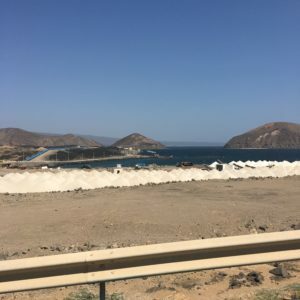 The Kempinski has a lovely infinity pool with gorgeous sunset views over the Gulf of Tadjoura and a really delicious Italian restaurant FYI. The next morning after a delicious breakfast brunch Akram picked us up and we set off for our Djibouti adventure. First stop- a quick drive thru the city to change money. 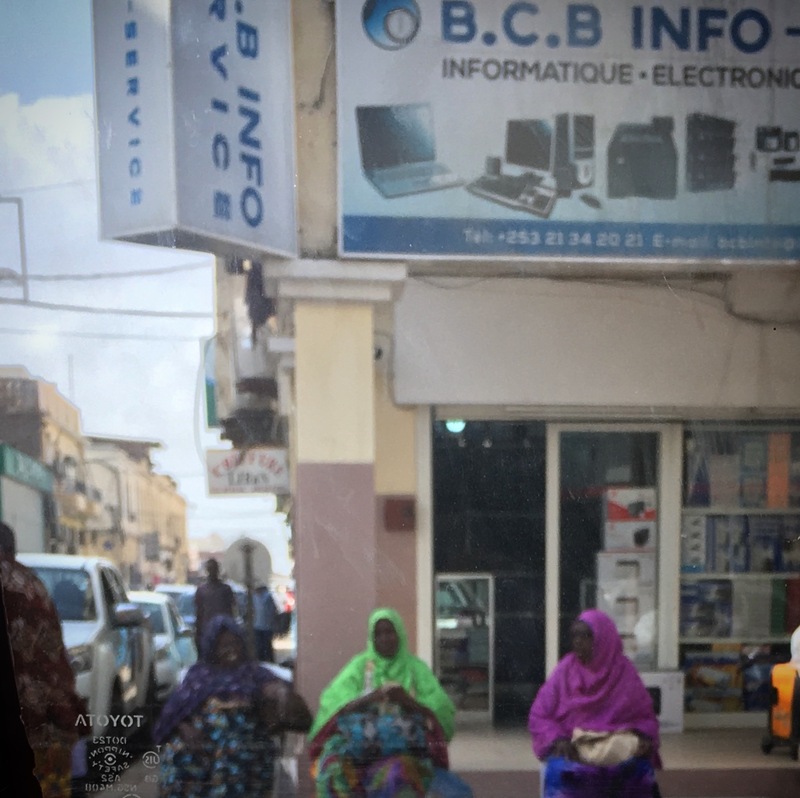 We visited the African and European Quarter where all the banks are located. Interestingly, there are no domestic banks in Djibouti. And equally interestingly is that the changing of money happens on the streets and not in the banks. There are these olderish grandmother looking ladies sitting on the side of the busy downtown roads in plastic patio chairs holding bags of money. This is how money is changed. I asked Akram how much money each one would have on them- he said around $1500 U.S. and that crime is very low. 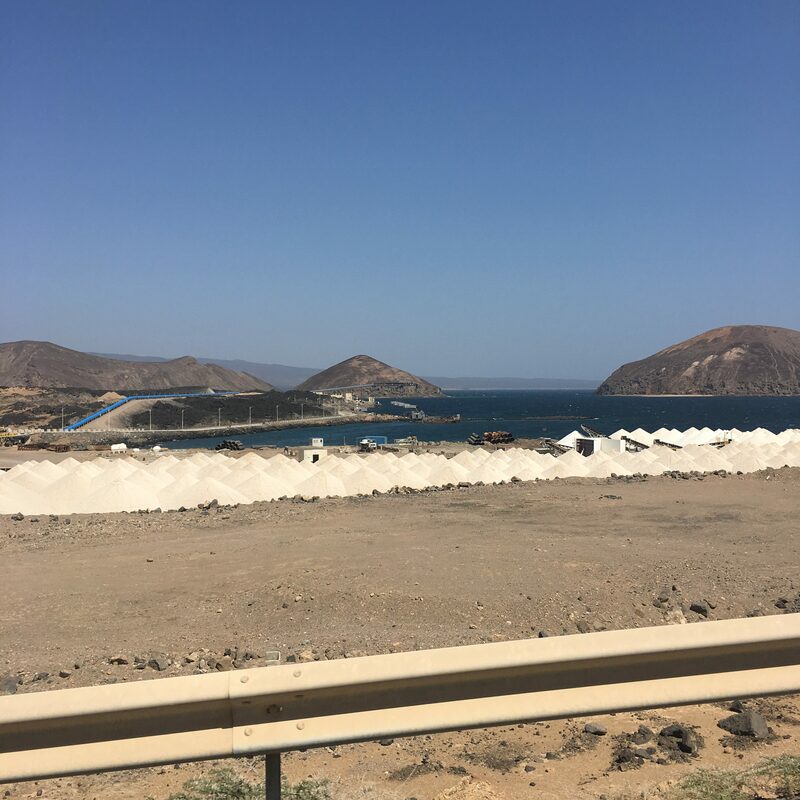 After money was exchanged we headed towards Dikhil via Africa’s busiest shipping road connecting the port in Djibouti to Ethiopia and on wards. We passed by small villages with goats, camels and monkeys dotting the landscape. As you can imagine village life as in many parts of the world is hard and stricken with poverty. People live in huts and work the land. 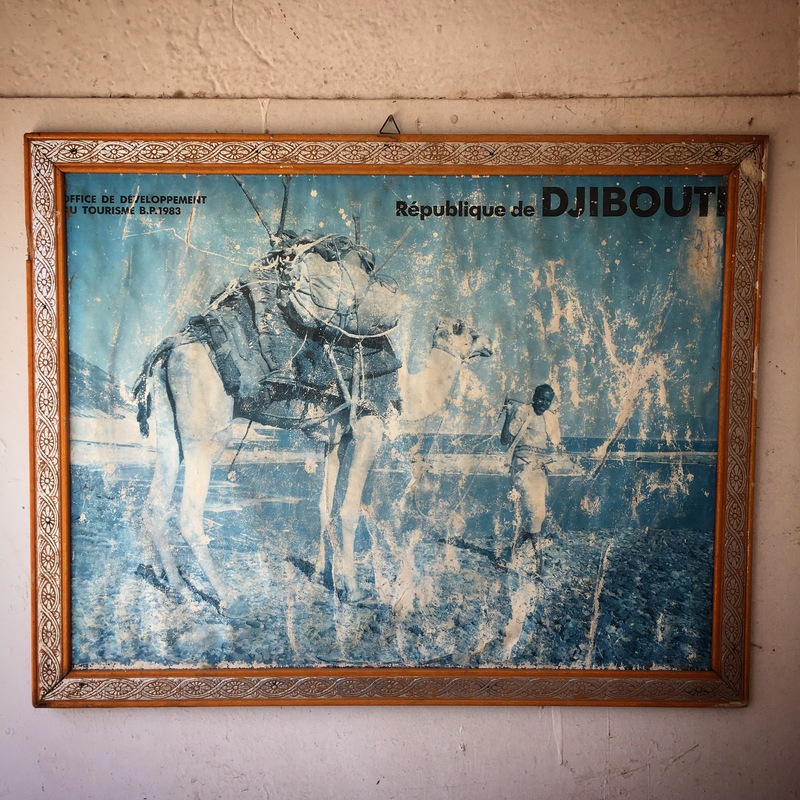 The people of Djibouti are largely nomadic and graze their animals outside of their villages. The largest ethnic populations are the Somali Issa (a clan of the Dir) and the Afar people. In Dikhil we stopped at a local restaurant for lunch. Initially, I had expected Djibouti food to be similar to Ethiopian given their close proximity. I couldn’t have been more wrong. We ate mixed salad and french fries and some sort of spaghetti and some of the best seasoned beef I’ve ever had. So good. From here we left the comforts of the pothole lined roads for the adventures of off-roading. About 90 minutes later is when we would find ourselves taking selfies as Akram and the driver worked out what to do about our tire. From here we continued driving east toward Lake Abbe. 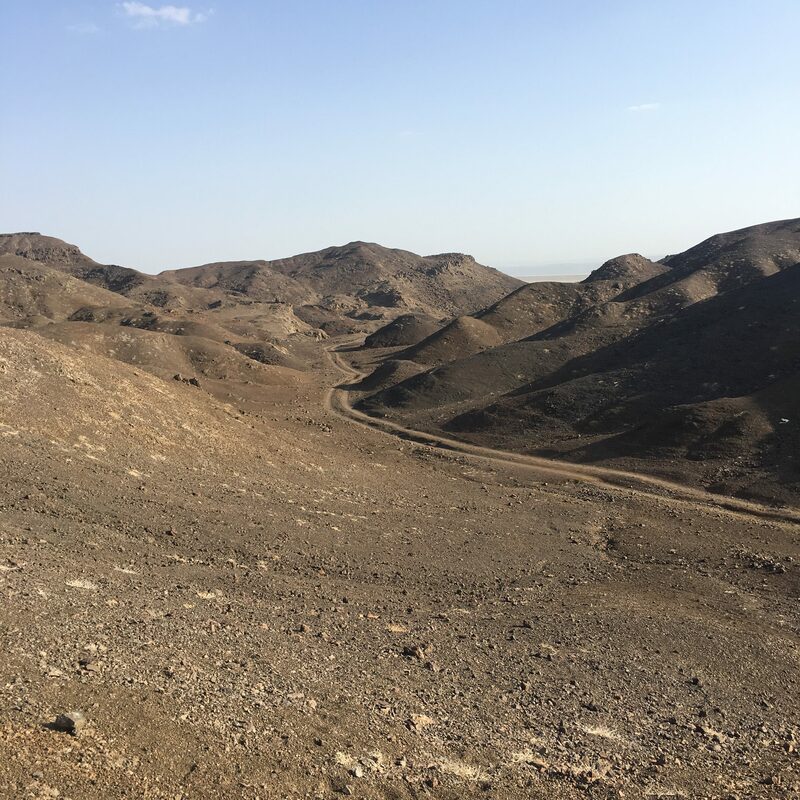 The scenery started to change as hills approached in the distance and the ground changed from sand to a dark rocky matter. We came up over a hill and in the distance we could see the chimney rock formations the lake is known for. 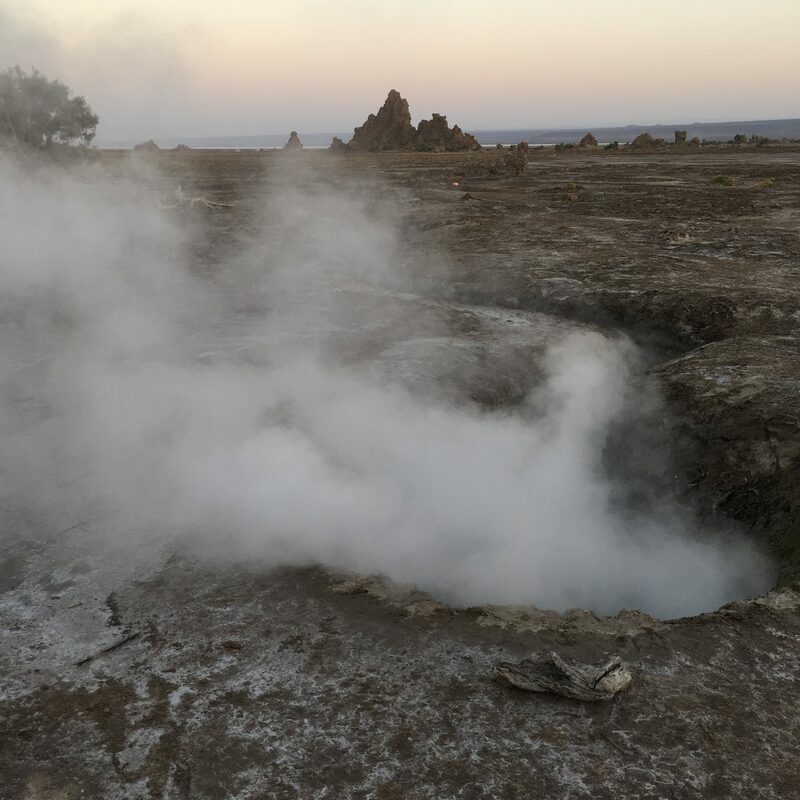 Lake Abbe borders Ethiopia. In the 1950’s Ethiopia built a dam upstream which caused much of the lake to be drained and on the floor of the lake bed these limestone chimneys were discovered. 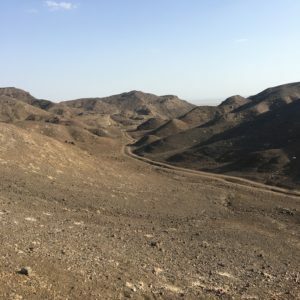 The entire area looks like what I imagine the surface of Mars to look like- it’s jarring and rugged and like nothing I’ve ever seen before. We stopped and walked around some of the larger chimneys before heading off to the nomadic camp for the night. Now people for sure thought we were more than a little crazy for going to Djibouti, but when we told them we planned to camp in nomadic tents in the Djibouti desert this was when we got the “you’re certifiably crazy” type of looks. The camp area consisted of many thatched roofed tents, a cooking area, and a shower and toilet area. The camp borders a local village. Now in no way was this a “glamping” type of experience. It’s like one step up from tent camping, but it was totally doable for a night. There was some running water to wash your hands with and generator that ran for a couple hours after dark. I did not attempt a shower as that seemed like way too much effort for me. Kiwi and I weren’t the only ones staying there- a group of Italian tourists and a French family would also be camping with us. We had some drinks while watching the sunset and then were called for dinner. The wind had really picked up by this point in the evening which was great because if meant the mosquitos weren’t an issue. After dinner was when the real fun began. The local villagers came to perform some traditional singing and dancing. They pulled random tourists up and had them dance along. Now I have zero rhythm and unless I’ve had several drinks I’m not a huge fan of dancing for other people, but I just kinda went with it. Kiwi danced once and then she’d had enough. After a couple more songs 2 of the villagers ran around the corner and came back with these old rifles. In my head I was like “now things are getting interesting!” So there was some dancing with the guns and the guns were pointed towards the ground and then towards the sky while the dancers were yelling “eyeyeyeyeyeyeyeeee.” And then one of the best things on the trip happened. I got handed a gun. 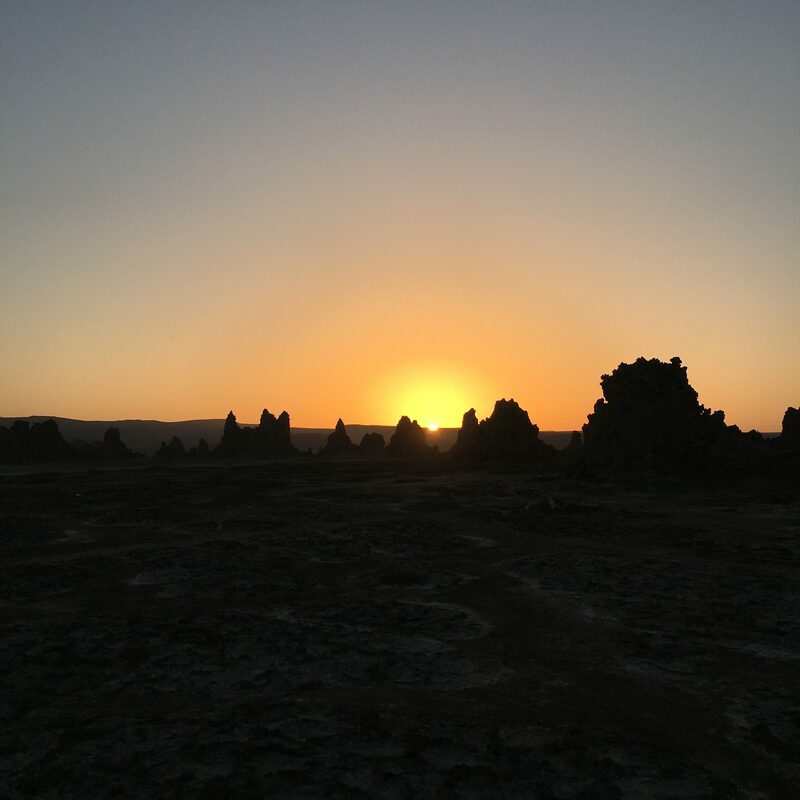 In the desert of Djibouti. And pulled up to dance with my gun. And dance I did. Like I’ve never danced before. To be fair up until this point I had never danced with a gun before, but I do hope to repeat this one day again! After that excitement it was time to go to bed. The wind was still raging, so we didn’t think to cover ourselves with the mosquito nets- which was a terrible idea we would find out a few hours later. The wind was trashing the thatching of the tents and making quite a bit of noise and every time I heard something I yelled to Kiwi “Who Dat? !” This made us giggle endlessly. Truth be told 2 months later it still does. A couple hours later we awoke to a dead quiet. Well a quiet except for that annoying sound of buzzing and then the itching that kicks in when you realize you’ve been fed on by a swarm of mosquitos. 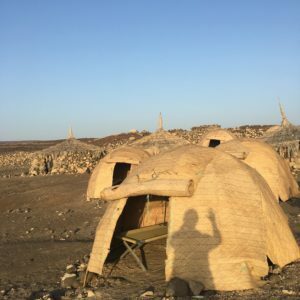 So my tips if you find yourself camping in the Djibouti desert would be: 1) bring a flashlight, 2) bring bug spray and 3) use the bloody mosquito net- they gave you one for a reason! The following morning after not a great nights sleep we awoke as the sun was just starting the creep over the horizon and set out down to the lake bed. The sun coming up was one of the most magical parts of the trip. It was truly stunning as the intensity of the light changed from dim to bright orange. I took so many pictures trying to capture just the perfect moment. 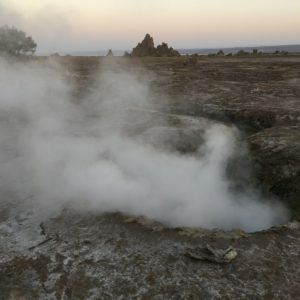 We then walked over to some nearby thermal pools which cast of type of smoky fog into the air around them. Then it was back to the camp for breakfast before continuing on with the days adventures. 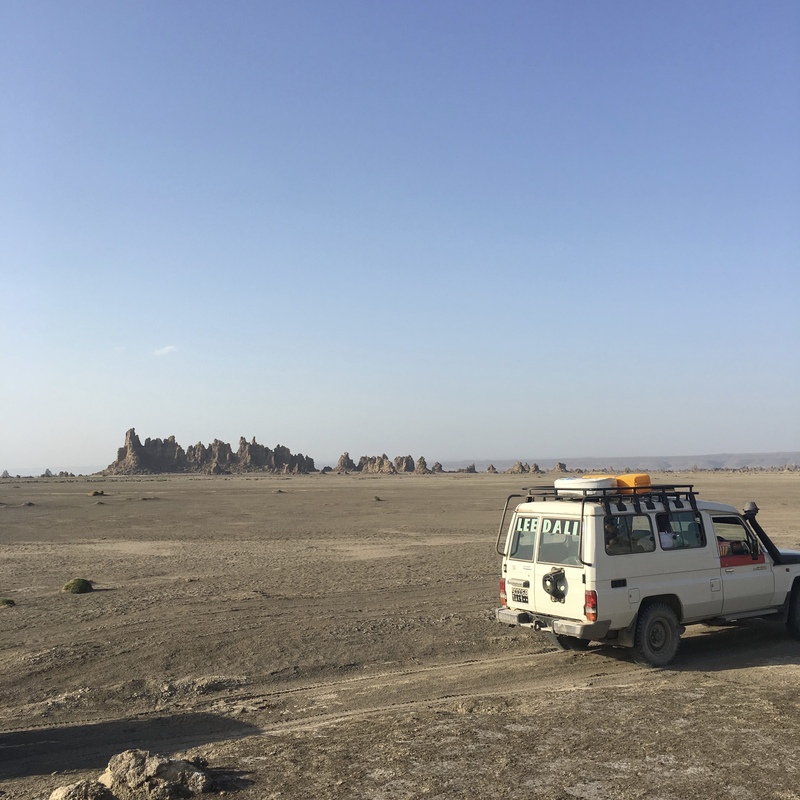 We drove back the way we came towards the village of Dikhil and from here we headed north towards Lake Assal. En route to Lake Assal we stopped off at a couple different lookouts. One was the Djibouti version of the Grand Canyon. I’ve tried to google the exact name of the place but with no luck. 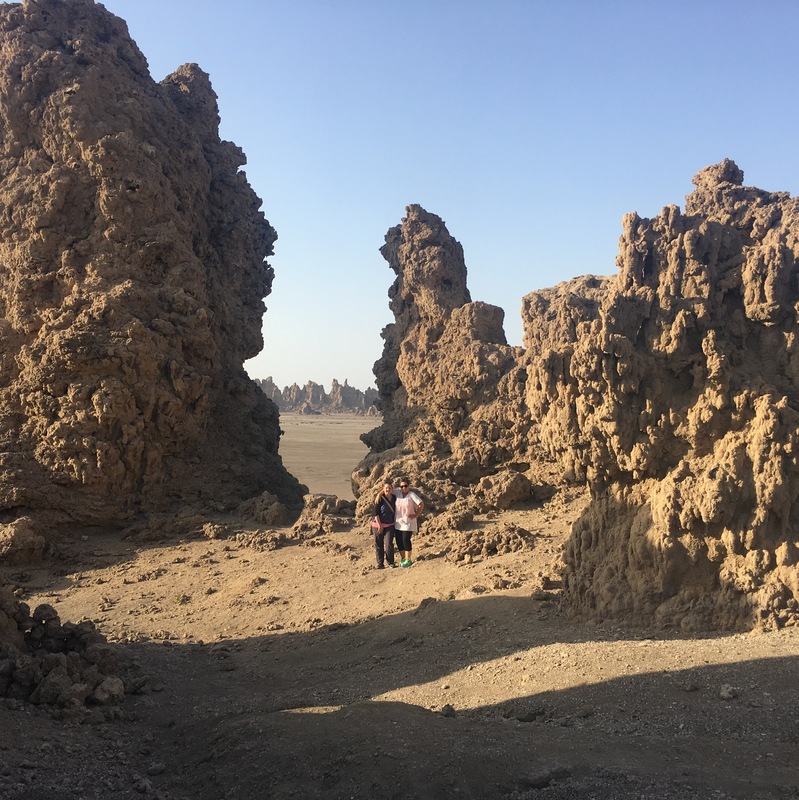 Basically though it is the meeting point of three tectonic plates that will eventually (in like a million years) split Djibouti into half- part belonging to the Asia continent and the rest to the African continent. The other cool place we stopped was overlooking Lac du Goubet which isn’t really a lake as it connects to the Gulf of Tadjoura. Apparently there is really good diving here and you can dive between the tectonic plates. Sounds super cool and scary as hell. The other thing Djibouti is known for is diving with whale sharks which is best between the months of November to February. 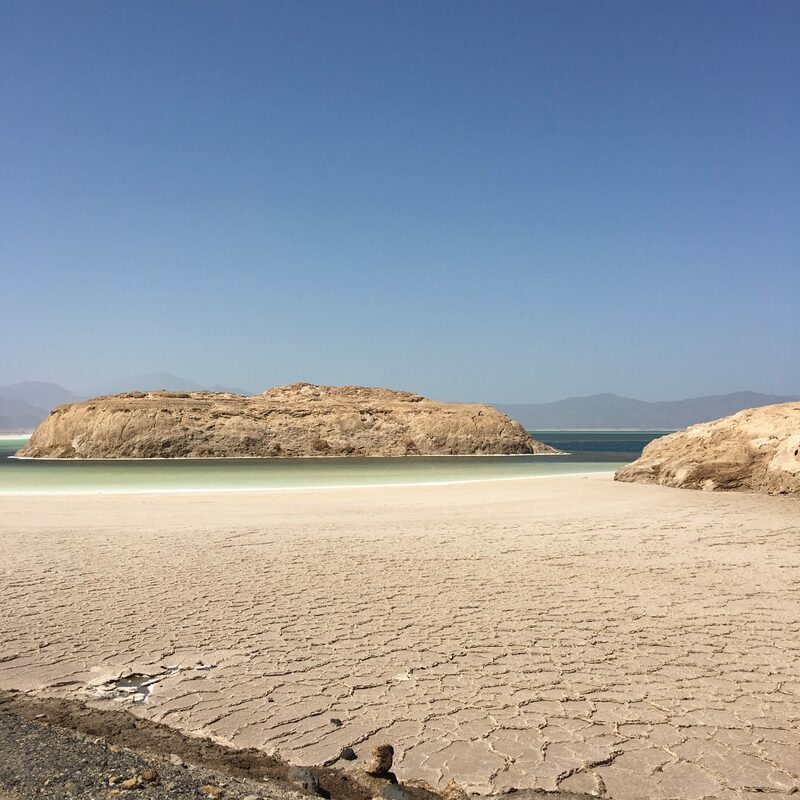 So eventually we arrived at Lake Assal. 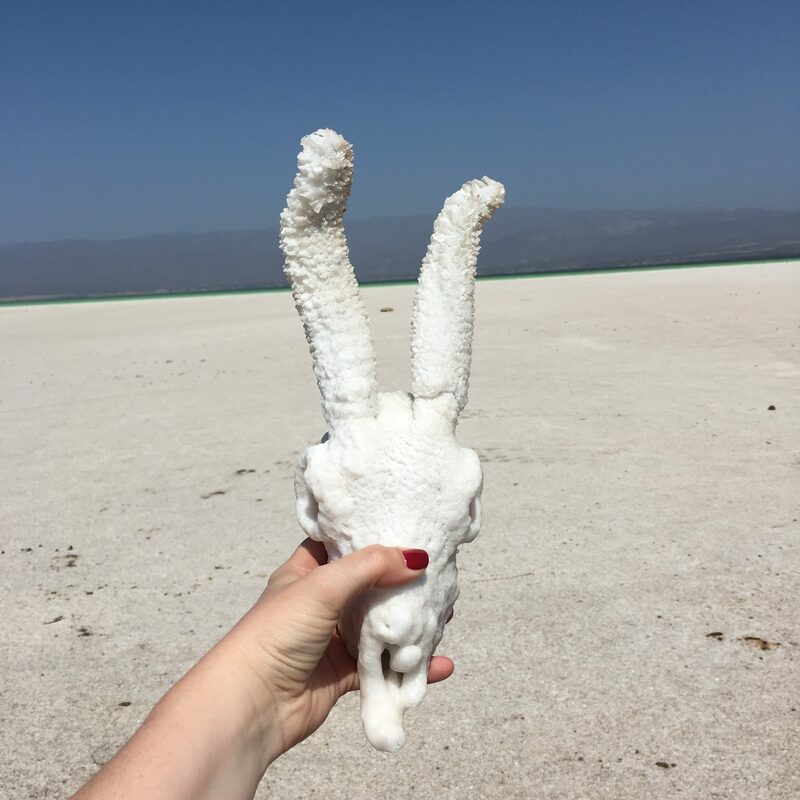 This lake is the lowest point in Africa and the salt content here is nearly twice as salty as the Dead Sea. The water is the most stunning shade of blue/turquoise with salt accumulating on the lakes shore. We wandered down to the lake edge to take some photos. We were completely unprepared and didn’t bring towels, so floating in it wasn’t an option. There was also nowhere really to change into or out of our swimsuits. The lake itself is pretty much undeveloped, but it’s so stunning that I imagine it won’t be long before a five star hotel is built onto the shore. There are locals selling salt from the lake, crystals and goats heads that have been crystallized after being in the lake a couple days. There is also a huge port built near to the lake for a Chinese company that is exporting the salt. After this we started the drive back to Djibouti. 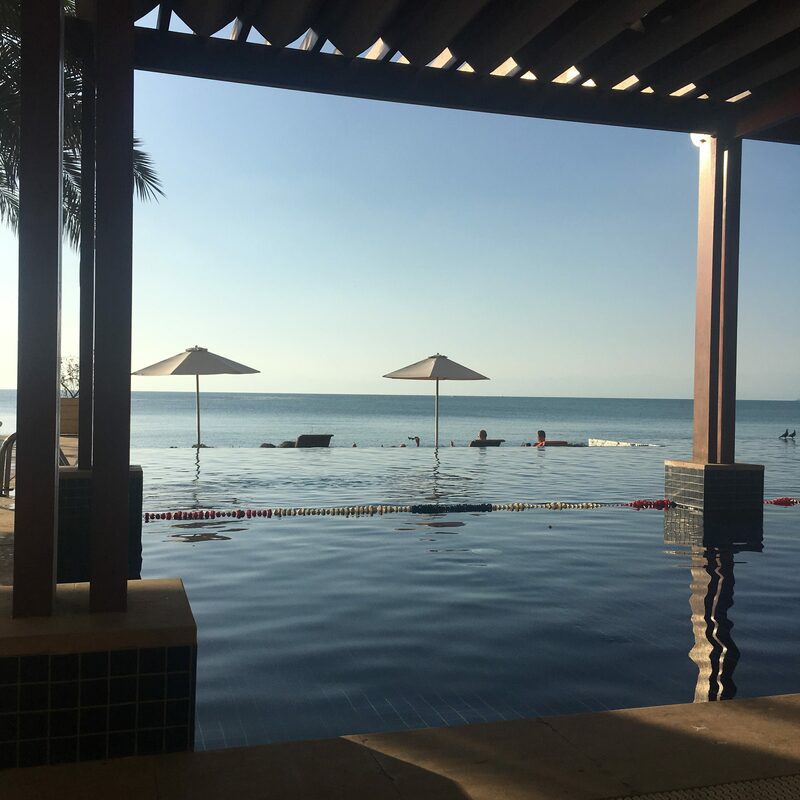 Our plan was to spend 2 nights relaxing in Djibouti poolside before flying to Dubai for the weekend. Remember when I said earlier that one of the things I loved so much about travel was the unpredictability of it? Well the morning we were supposed to fly out I got a message from FlyDubai that our flight was canceled so we would be rebooked the following day. 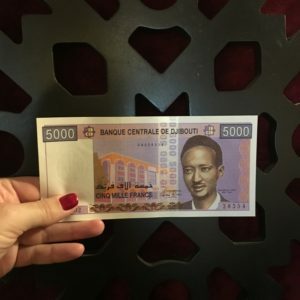 This was hella annoying because we had to book another night in Djibouti which was not exactly cheap, our accommodation in Dubai was non-refundable, and we were missing out on boozy brunch. FlyDubai was not very helpful in providing any type of compensation- in fact we got the run around for hours and eventually they told us the cancellation was weather related as there was fog in Dubai. Yet our flight was the only flight cancelled. I suspect that it was actually because the flight was under-booked as our flight to Djibouti was less than 1/3 full. After getting over out initial annoyance at the derailing of our plans we did what any seasoned travelers would do and regrouped. I was hell bent on driving a rickshaw so we called Akram and he organized for us to go driving. We headed to the outskirts of the city center. On the way we passed a taxi that had a Canada flag along the windshield and Canada painted on the side. I was all like “follow that taxi!! 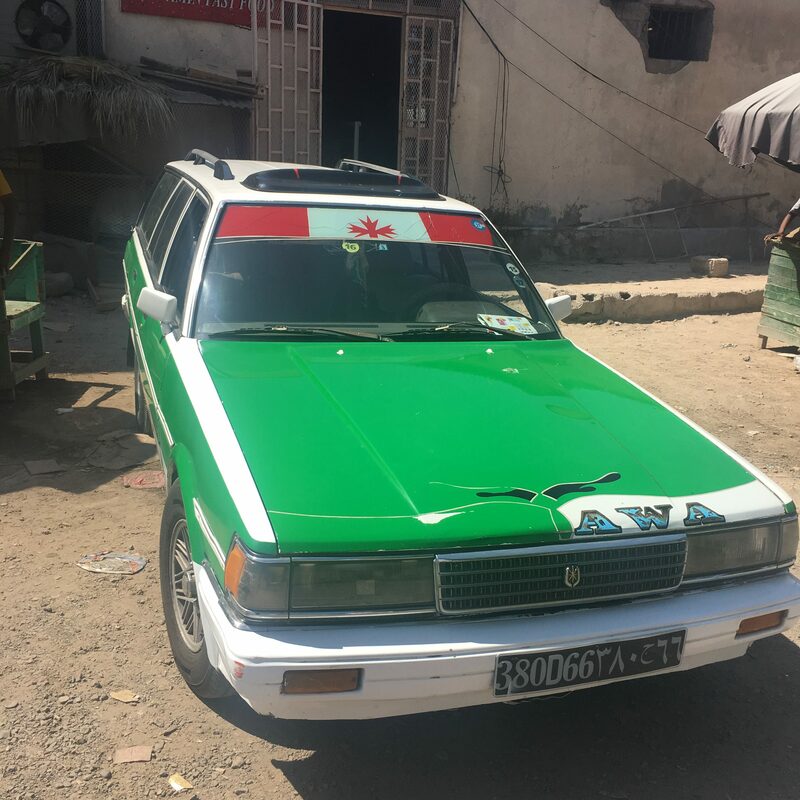 !” And so we did, and the guy pulled over and in his excitement to get out of the taxi to come meet a Canadian he forgot to put the car in park, but he quickly got back in sorted the brake out and then it was time for a Djibouti style photo shoot. And there was a bunch of thumbs up and high fiving and I was loving it. Next it was “Operation acquire a Rickshaw.” Akram arranged a guy who had a new rickskaw and I jumped in the front with Kiwi, Akram and the rickshaw owner in the back. 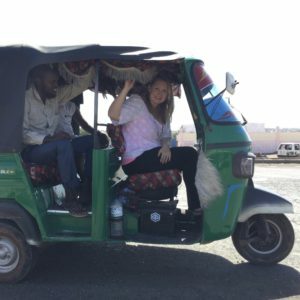 Since I’d driven a rickshaw only a couple weeks previous in Egypt my skills were on point and once I initially got a feel for the clutch we were off. We headed out onto Africa’s busiest road. It was great fun, and no one died, but I’m sure my Pops would’ve had a heart attack at the size of the trucks we shared the road with. 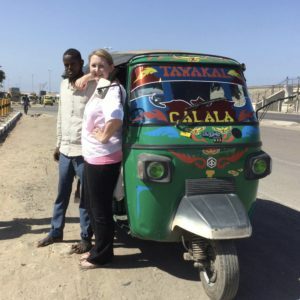 After we were finished we posed for pictures and the rickshaw owner told me what a good driver I was and offered that we could go into business together! Super tempting- I do love rickshaws!!! In the end after a ton of persistence on my part FlyDubai did compensate us for the cancellation. It was a really frustrating process and in my opinion they could really work on their customer service. I did just recently fly with them from Dubai to Belgrade (to use the credit) and they were on time, and the plane was really new and I have zero complaints from that trip. The one great thing that came out of the delay though was that when we arrived a day late to the Westin in Dubai and explained to them what happened they upgraded us to this massive suite which made us so happy and we felt like real high rollers. Visas to Djibouti are available on arrival for many nationalities at the airport for $60 U.S. until April 30, 2018. After that time you can apply for an E-visa here. At the time of writing this the website wasn’t working and I couldn’t change it from French to English, so good luck! If you want to get in touch with Akram about organizing a tour you can email him at guideakram89@gmail.com or send him a whatsapp at +25377621884. 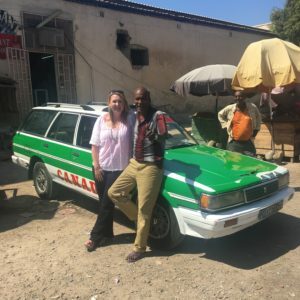 I would highly recommend him- he’s young, but he’s passionate about Djibouti tourism and the tire incident could’ve easily happened to anyone else anywhere else!